This post about how to feed your soul is part of the PTPA Brand Ambassador Program with Rocky 4EurSole. I received compensation as part of my affiliation with this group. The opinions on this blog are my own. Including today, my children have exactly 19 days left of school before summer vacation. Not that I’m counting or anything, right? They are so incredibly excited about the end of school year stress and to be honest, I am too. Our schedule is always a little bit more relaxed during the summer. Later bedtimes, lazy days at the pool, and Saturday morning farmer’s markets. So, why is it that within two weeks of summer vacation beginning, I want to strangle the children and send them back to school? My husband laughs at me the first time I say ‘I can’t wait for school to start back up again’. That’s usually around mid-June! I have started doing a little bit of research on how to feed your soul so that maybe I can stress less, live more, and squeeze every possible moment of joy out of summer vacation. 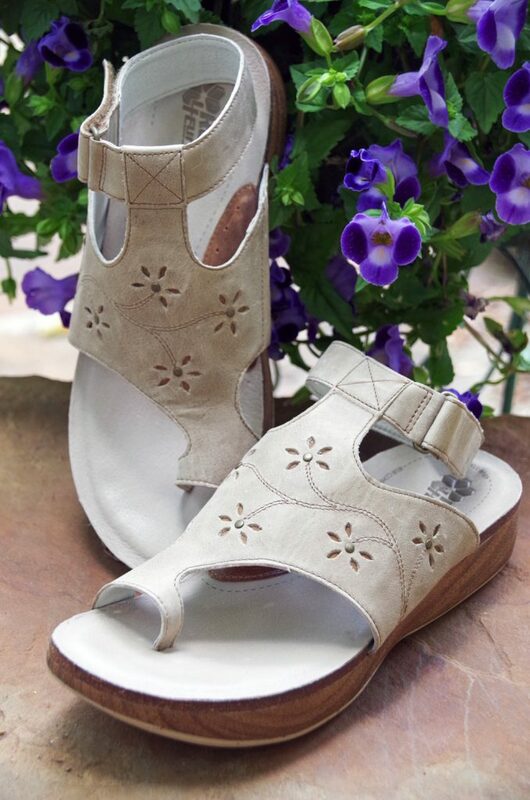 And I am going to do it all in a pair of beautiful Rocky 4EurSole Bountiful Women’s Sandals. The one thing I learned when researching how to feed your soul was that it takes time. You can’t jam pack your day with work and your night with errands and hope to somehow rejuvenate yourself along the way. Setting aside a few minutes a day to feed my soul is going to have to become a priority. I have started putting together a few ideas on how to feed your soul that will work with my busy life. Meditate in the garden: Usually I see my garden as work. I must plant it, feed it, water it and protect it from disease and pests. Sometimes I manage to grow something edible. Usually, the chipmunks eat it. I don’t often take the time to simply sit and LOOK at it. In order to feed my soul, I need to stop looking at my daily chores as WORK and see them as blessings. I need to understand the chipumk’s need for food and not want to scream at them and throw things. We’ll see how that works! 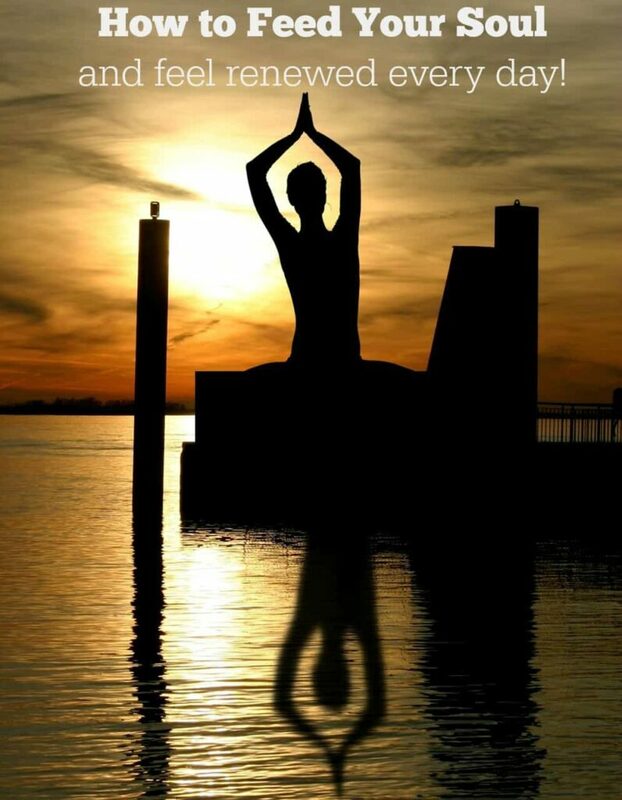 Set Daily Mindful Messages: Day to day life is busy and I forget to appreciate it. Did you know that there are apps to help you remember to be mindful? They will send you reminders like to think of three things you are grateful for or an encouraging message to make you smile. Maybe they will send me a message to ignore the teenagers arguing and the dog barking. Those would be particularly helpful! Read a book: There is no to-do list in the land of Narnia and no overpaid bills in your favorite romance book. One of the easiest ways to feed your soul is to escape from reality into a good book occasionally. Go shopping: I am not talking about grocery shopping or a trip to Target with the kids in tow. Leave everyone at home and shop for something you WANT but don’t actually need. Buy a pretty pair of earrings, a new dress, or your most desired kitchen gadget. While you cannot feed your soul with material things, a treat once in a while can really make you feel better. I usually wear a collection of free t-shirts and jeans that are a few too many years old. Putting on a pretty dress and sandals occasionally makes me feel better about myself. Indulge in something decadent: Okay, I love salad as much as the next girl but it doesn’t feed my soul. Throw healthy eating aside for an hour and treat yourself to ice cream with the kids. They will appreciate it and so will your soul! Connect with your children: Too often, I find myself annoyed with my teens and nagging at them for one thing or another. When thinking about how to feed your soul, consider engaging with your children instead of parenting them. Be a kid with them. Run around in the rain and build sand castles and catch fireflies. My kids are only going to be home with me for a few more years and I am going to try to make every moment count this summer. Too often, I spend my free time scrolling through Facebook or watching TV and I don’t really feel like those things feed my soul. Screen time is not rewarding for me OR my kids. In fact, some days Facebook just makes me downright angry with the world! Getting out and seeing the world around me is rewarding. Doing things with my family helps feed my soul and those are the things I will be focusing on this summer. 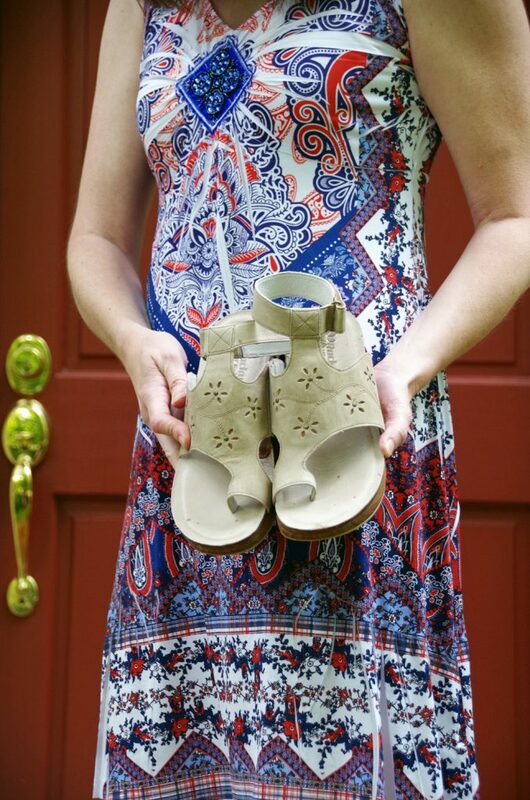 Whether it is a fancy dinner with my husband or shorts and a t-shirt at the pool, the Rocky 4EurSole® Bountiful Women’s Sandal I am wearing is versatile enough to wear with just about any outfit, whether it is casual capris or a cute summer dress! 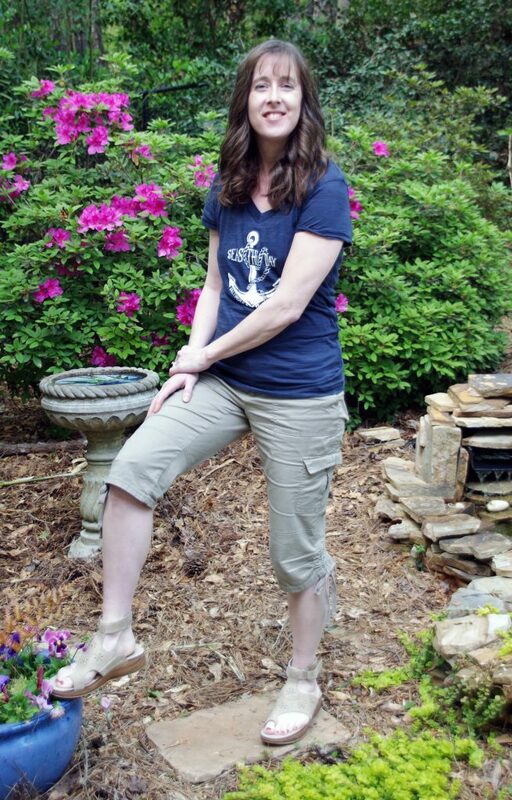 Check out Rocky 4EurSole on Facebook, @4EurSole on Twitter and Instagram for more info on their great line of sandals! 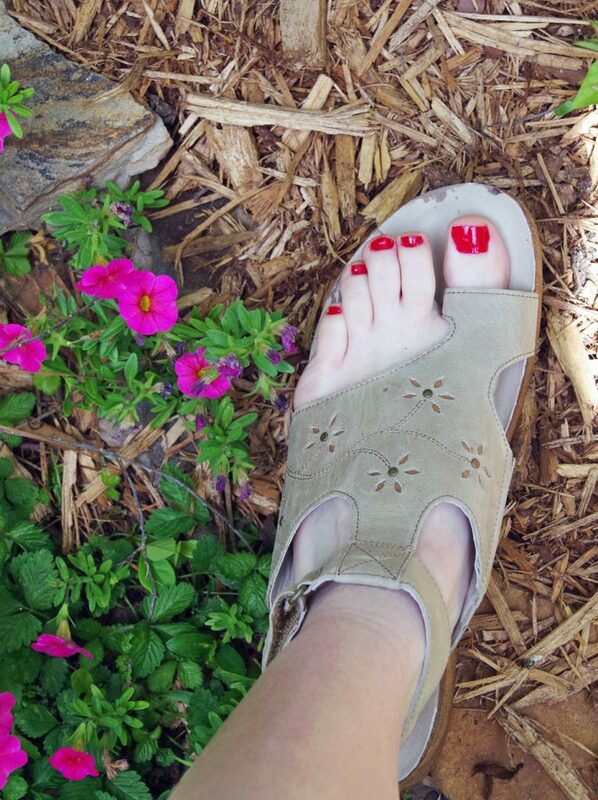 Enter to win a pair of Rocky 4EurSole sandals!